"Skype a Scientist matches scientists with classrooms around the world! Scientists will skype into the classroom for 30-60 minute Q and A sessions that can cover the scientist’s expertise or what it’s like to be a scientist. " 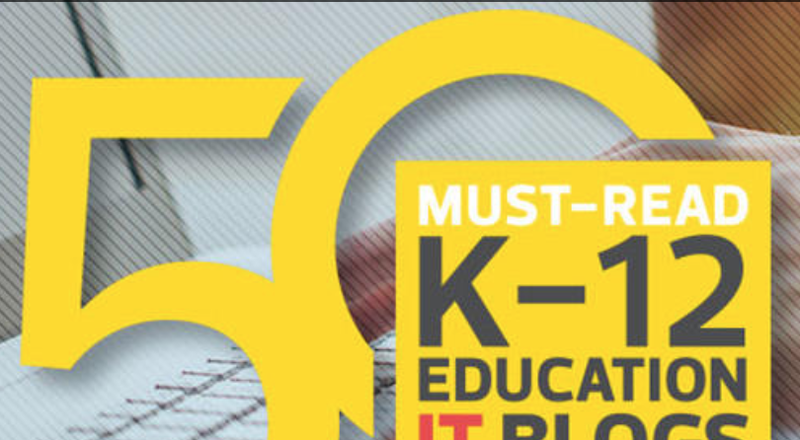 Every year we offer a technology course for teachers that runs from June through October. 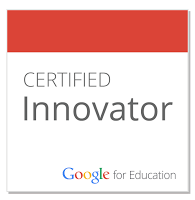 The purpose is to give teachers time to come up with new and innovative ideas for their classroom. We love the format because it's 3 days in June, a half day in September, and a full day in October when we share out the projects. 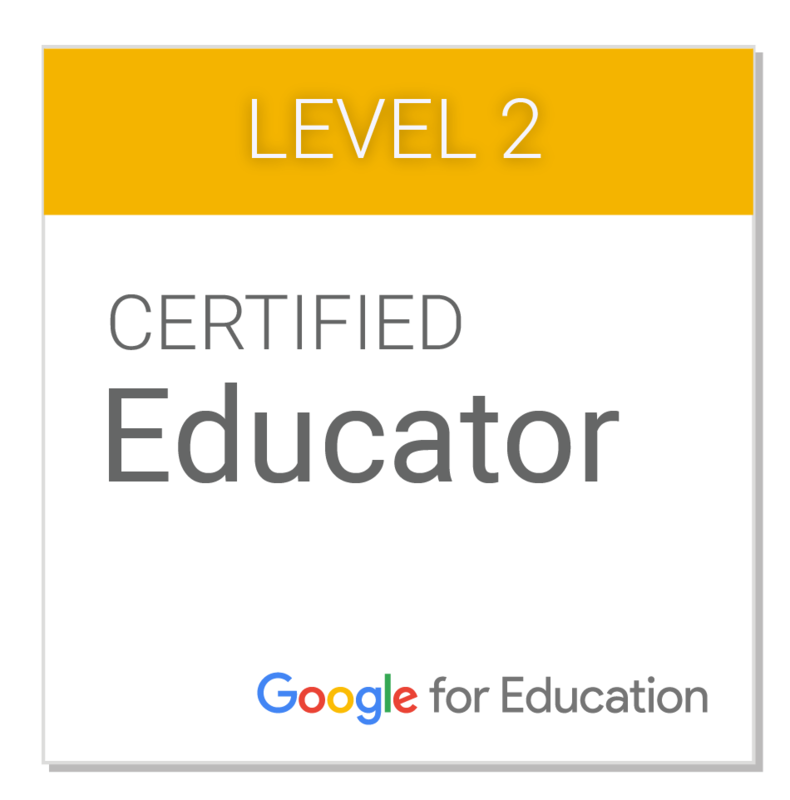 Teachers can take the class for recertification hours, or if they attend the entire class with an online portion, they can receive 3 credits towards the salary scale. Every year we are blown away by what teachers accomplish. Because of the gaps in the dates, teachers have time to try various activities in their classrooms with students. During the three days in June, teachers pitch their final project to a small group (similar to shark tank) which includes a student and receive feedback. They then have the summer to tweak it. In September, they have help from student assistants as well as the three tech integrators. This year we had the added bonus of having A.J. Juliani visit. The impact of his message on final projects was clear. It is amazing to see the changes that have happened from June to October. This needs to be updated but the high light of this year's ACTEM conference was Joe Sanfelippo and Holly Clark's keynotes. At school, we have been exploring how project-based learning might fit the program and be able to meet the needs of all learners. Last spring, we visited some programs at Concord- Carlisle (Rivers and Revolutions)and Wellesley High School (Evolutions). We read and heard Ted Dintersmith speak, and the back to school faculty meeting started with the film Most Likely to Succeed. Each Learning Area has copies of the PBL Starter Kit for the Buck Institute and Hacking Project Based Learning by Roos Cooper and Erin Murphy. 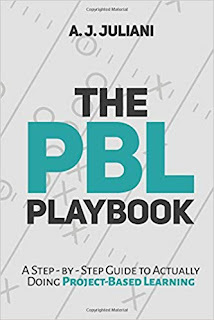 And most recently I ordered the PBL PlayBook from AJ Juliani. 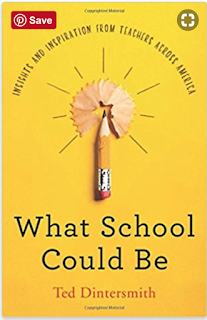 I was so excited because the first seven chapters actually give specific ideas for starting, scaffolding, and assessing project-based learning. The book highlights small quick lessons and large-scale projects. It is all about helping students take ownership of their learning. There are also many examples from real classrooms around the world. The assistant principal bought copies for the learning areas to add to their PBL libraries. Friday was a full day professional development day. 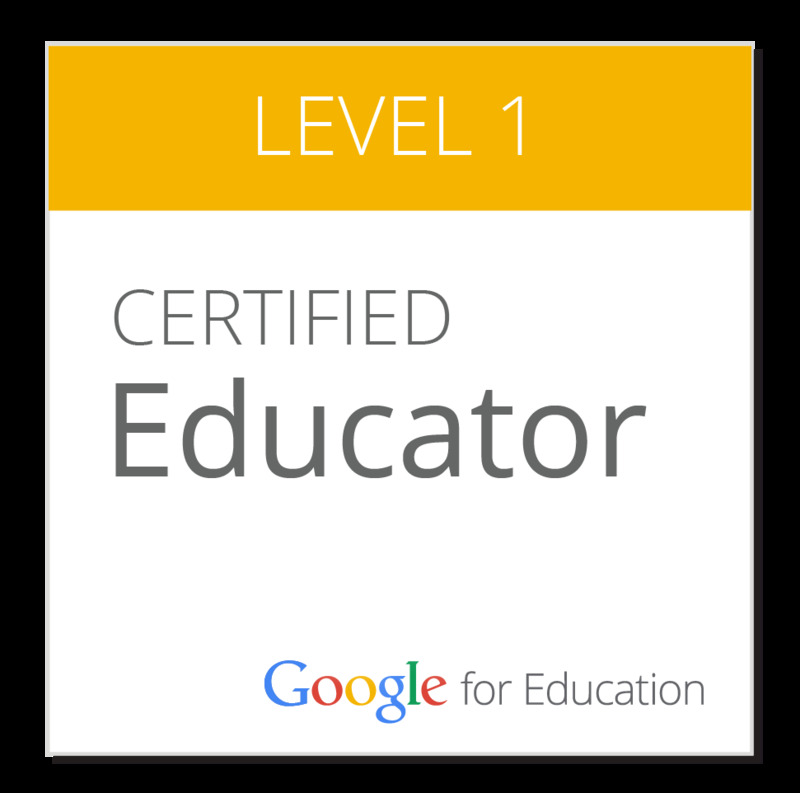 We work hard to make it meaningful and relevant for teachers. Lucky for us, we were able to have AJ Juliani come and speak to the entire faculty, K-12. An elementary teacher read Empower and told her principal about it. He read it and was inspired to contact Mr. Juliani to see if he could come for the day. 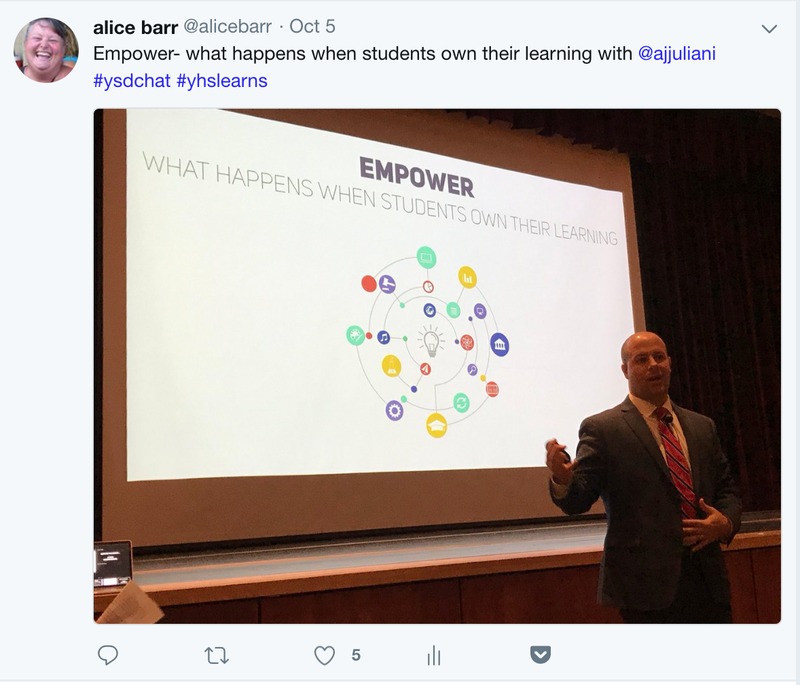 The opening keynote, Empower: What Happens When Students Own The Learning - is one of the most talks that I have heard in a long time. "It's not about the digital divide, it's about the creative chasm"
"Be the guide on the ride, not the guide on the side." "Learning is about unlearning and relearning"
"Creativity is not an event"
Make the teaching model for the year we live in"
Next, we participated in a project. In groups of three, we had to pick one topic from the UN Sustainable Development Goals. We had 3 minutes to pick the topic, 7 minutes to research it, and 10 minutes to make a PSA and share it. Everyone was chattering, busy, and all over the building while working. It looked like everyone finished on time. It was so much fun! You can see some of them at #ysdchat. What “aha” moments did you experience during this morning’s activities? What are your takeaways from the sessions? What questions do you have about Juliani’s approach? What have you tried this year that feels successful? What are you going to try or what have you tried but still needs some attention and work? After lunch, we met in groups based on the Chapters 2-7 of the PBL Playbook. To prepare, in two previous faculty meetings, we read Be More Chef and Chapter One of the PBL Playbook. This time, teachers selected which chapter they wanted to read and discuss. There were 3 different protocols we could use for the discussion. Each group had a set of guiding questions, additional resources, and a Google Doc for note taking for the chapter. At the end of the discussion, we filled out a form that asked for 3 professional goals (all teachers in our district keep a 3-year portfolio). What are three of your current "big ideas" for this year's professional goal? We will use the resulting spreadsheet to help you identify possible collaborative partners for our next session. NOTE: these do not need to be listed in order of priority -- use the form as a brainstorm space that will lead to collegial connections! We got back together as a group and looked at the survey results. Teachers then broke into groups of like-minded people to brainstorm, mingle, and inspire each other. They were encouraged to continue to focus on “asking the right questions.” and come up with a list could be explored over the next month/school year. I fell pretty strongly that this was a relevant day of work for staff. I was excited when I was helping to plan this day, and I can't wait to see what people will try with their classes. This has also helped me to see that we need to update our digital citizenship final project with the 9th graders. Stay tuned! 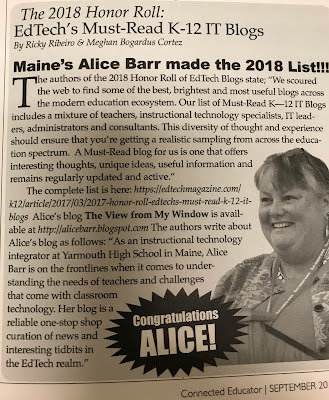 Honored to be recognized with these folks! 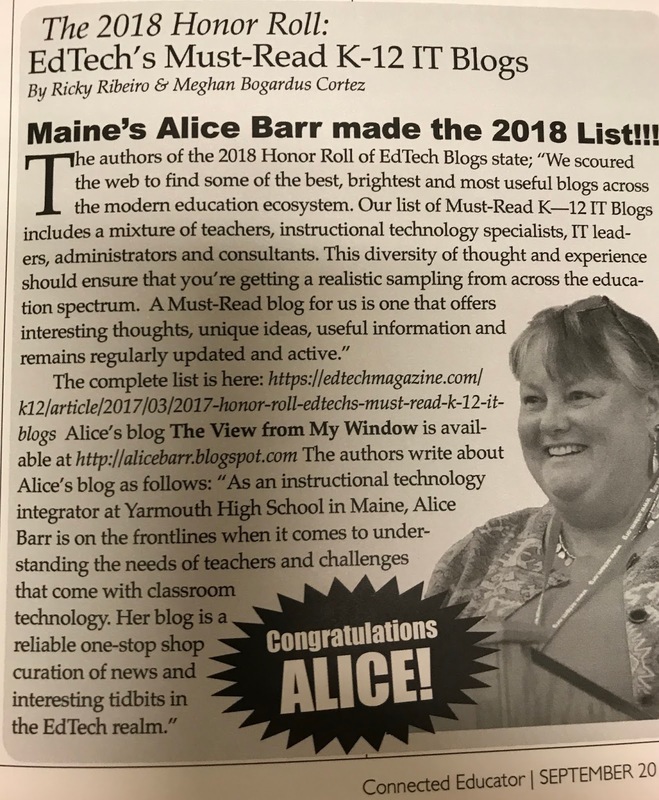 Thank you to Ricky and Meghan for listing my blog in the Must read K-12 IT blogs. I am honored and perhaps this will be a good kick to post more here after a summer hiatus. Looking forward to seeing everyone at ACTEM! Ted Dintersmith, author of What School Could Be: Insights and Inspiration from Teachers Across America, leads a conversation moderated by Meghna Chakrabarti on how teachers can change the education system in creative, compelling and practical ways to positively impact students and better prepare them for the innovation economy. This conversation was sponsored by the Brookline High School InnovationFund. We had the good fortune to have about a 20 minute conversation with Ted and came away with some ideas about our school and leadership in the community. 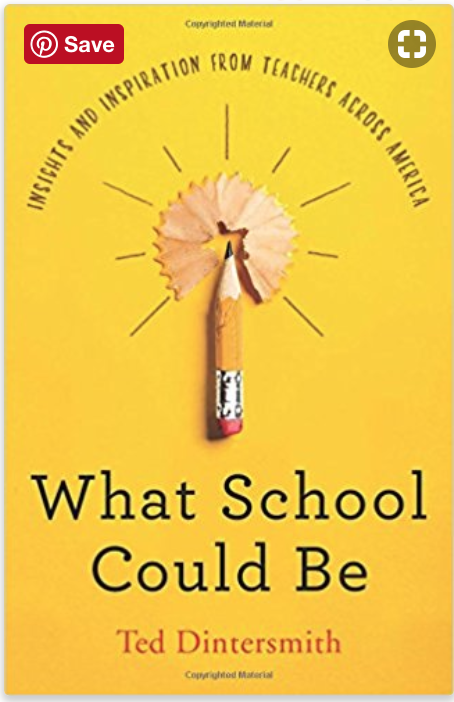 One of the big takeaways for me was the question of how to we help students fit with the curriculum rather than making the curriculum fit the students. With our initiative around exploring where Project Based Learning fits, this question will help guide some of our work.
" 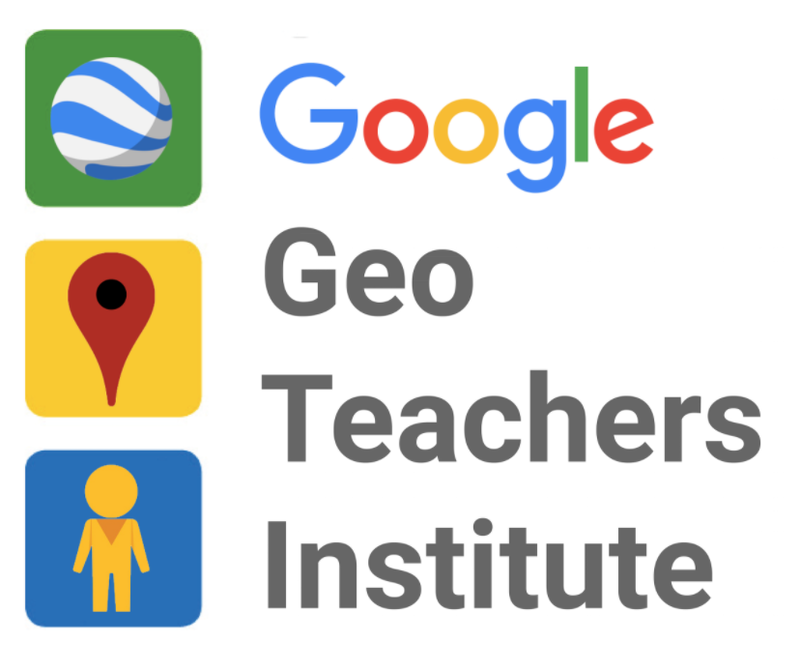 “Teaching is the profession on which all other professions depend”: Linda Darling-Hammond on transforming education"
"21 Things Every 21st Century Educator Should Try This Year (2018 Version)"
"4 Reflection Questions for the End of the School Year "
I tried out the new Google Tour Creator and found it to be very user-friendly and pretty intuitive to use. I made a tour of my recent trip to Iceland. Definitely putting this into summer professional development. I used Richard Byrne's video tutorial and Andrew Caffrey's directions. You need to have the tool turned on in your school domain if you are using this with students. 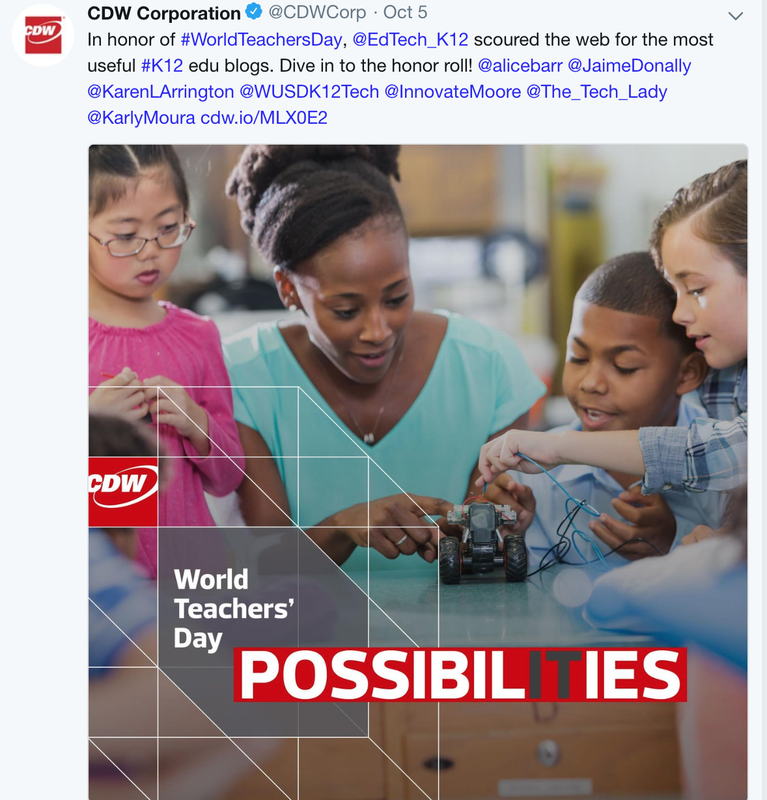 So You’re a Teacher with a 3D Printer… Now What?